Alexander Mawyer‘s passion for Pacific Island studies is contagious​, and has led him to a prolific career in Hawai`i and abroad​. As a graduate of the University of Hawai`i at Mānoa and the University of Chicago, he has conducted research with the Mangarevan community in the Gambier and Society Islands of French Polynesia. He has also served as coeditor of Varua Tupu: New Writing from French Polynesia and contributed a chapter for the UH Press volume At Home and in the Field: Ethnographic Encounters in Asia and the Pacific Islands. As an associate professor, he has worked on research involving the languages of Eastern Polynesia and sovereignty issues, and has served as co-director of the Biocultural Initiative of the Pacific in Oceania at UH Mānoa. With Mawyer now at the helm as editor upon its 30th anniversary, and with the launch of a new website for the journal, we asked him to share his approach to gleaning and organizing the content for The Contemporary Pacific. What led you to become an editor in this field? What a striking question! You make me think of Borges’s garden of forking paths, wherein stories ramify, intersect, cross over and back, and all paths turn out to have many beginnings and few, if any, evident ends . . . still a few thoughts come to mind. In the summer after college, I found myself in Honolulu and, among other things, volunteering as an editorial assistant for MĀNOA: A Pacific Journal of International Writing, which Frank Stewart and Robbie (Robert) Shapard had founded some years earlier. Looking back, that was a serendipitous moment. Still in its first decade, I happened to be present while MĀNOA was coming into its own with growing national and international recognition. I got to know passionately committed local thinkers and writers such as Mahealani Dudoit, who founded ‘Oiwi: A Native Hawaiian Journal in 1999 and who was very often in MĀNOA’s offices in those years. I was trained as an editorial assistant and later as assistant to the managing editor by the inimitable and formidable Pat Matsueda. Frank, Pat, Mahealani, and others on the staff and around at the time were inspiring for their commitment to the ethical imagination and the transformative potential of the inked page. At some point during my first months with MĀNOA, Frank asked me to write a review of Vilsoni Hereniko’s then freshly published Woven Gods. Vili, a professor at the Center for Pacific Islands Studies, had just edited an issue of MĀNOA dedicated to Oceanic and Pacific Islander writers and writing. At the time, this literary space was almost entirely out of view for those not themselves seizing the pen in home islands and communities. I suppose my review was not a complete disaster since Frank suggested that Vili would enjoy lunching and chatting about my review. As I discovered, Vili’s scholarly spirit expands to fill whatever space he’s in and, somehow, by the end of that lunch he had more or less talked me into doing an MA in Pacific Islands Studies. 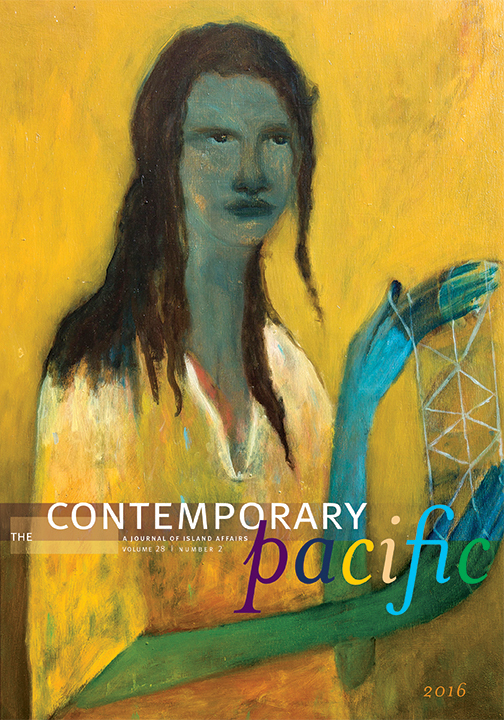 A year later, after my MA, I moved to Chicago for my doctorate and did not imagine (and, I think, could not have imagined) that I would ever have the privilege of serving as the editor of The Contemporary Pacific. I am confident that any number of other more recent experiences could be identified as part of the story-garden for how I came to take on this editorship. But in retrospect, I’m struck by how early career experiences play out over years, by how unexpectedly paths cross and re-cross, and by how the kindness of intellectual and professional mentorship was a planting that continues to flower and bear fruit. Next Show in Fifteen Minutes, by Maika’i Tubbs, 2008. The Hawaiians (1970 book by authors Gavan Daws and Ed Sheehan and photographer Robert B Goodman), 15″ x 10″ x 8″. Photo courtesy of the artist. Next Show in Fifteen Minutes is a performance that looks at stereotypical depictions of Native Hawaiians and expectations sometimes placed on them to perform “on command.” In this performance, Tubbs picks up a book from a pedestal, opens it, and folds the pages into a circus tent while singing in Hawaiian. He then unfolds the pages, closes the book, and repeats the performance after fifteen minutes. The Contemporary Pacific provides a publication venue for interdisciplinary work in Pacific studies with the aim of providing informed discussion of contemporary issues in the Pacific Islands region. Single issue sales and annual subscriptions for both individuals and institutions available here. Submissions must be original works not previously published and not under consideration or scheduled for publication by another publisher. Manuscripts should be 8,000 to 10,000 words, or no more than 40 double-spaced pages, including references. Find submission guidelines here. Context: As streams dry up due to climate change, beaver are being displaced from their natural habitats. This study critically examines five institutional blockages to beaver recolonization in Oregon through multiple interviews, policies, and publications. Context: Nic Maclellan reflects on the U.S.’s political influence on the Pacific region, especially as it relates to environmental regulation: “Debates over climate action, West Papua, fisheries, and trade continued as a feature of regional affairs in 2016, often dividing Pacific governments and their international partners. The election of Donald Trump as U.S. president in November set the stage for these divisions to continue, given Trump’s statements during the election campaign on climate change and America’s new directions in foreign policy.” This introduction is followed by more reports from the field, including Fiji, Papua, Solomon Islands, and Vanuatu. Also appearing in this issue: “Climate Change and the Imagining of Migration: Emerging Discourses on Kiribati’s Land Purchase in Fiji” by Elfriede Hermann and Wolfgang Kempf. Featured art in the new issue of The Contemporary Pacific by Selwyn Muru: On 9 June 2017, 135 years after government troops invaded and violently decimated the Māori settlement of Parihaka (and at the time this issue of the journal was about to go to press), a Crown apology was finally offered to the people of Parihaka. The gesture is more than symbolic: an additional deed of reconciliation, legacy statement, ongoing relationship agreements with local and national government, a development fund, and legislation are being put in place to ensure that the Crown’s commitment is legally binding. Parihaka Papakainga Trust Chair Puna Wano-Bryant’s declaration of a “new dawn” echoed sentiments expressed at the time of Parihaka’s founding. The cover image depicts two important prophets, peacemakers, and leaders of nonviolent resistance in this story: Te Whiti o Rongomai, who helped establish Parihaka with Tohu Kakahi, and their colleague Riwha Titokowaru, who was blind in one eye, and who was arguably “the best general New Zealand has ever produced” (James Belich, in Te Ara: The Encyclopedia of New Zealand). From artist Lisa Reihana featured in this issue. Dandy, 2007. 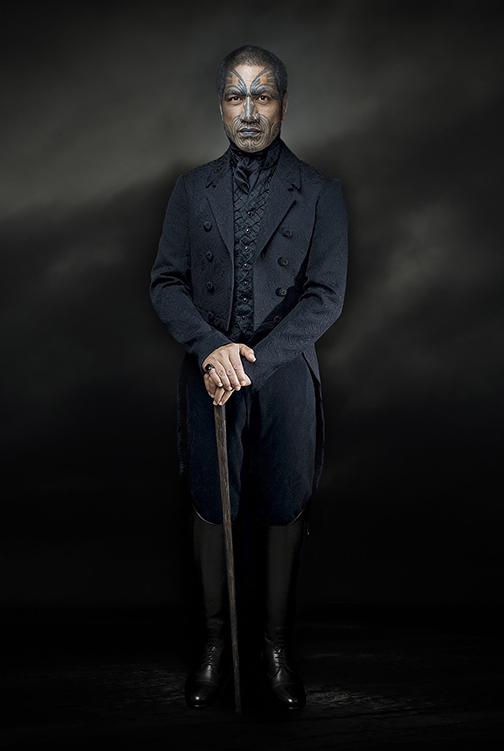 Countering stereotypical depictions of Māori masculinity, strength, and prowess that focus on physical accomplishments on the battlefield or rugby playgrounds, Reihana’s Dandy, with full-face moko (tattoo) and Victorian attire, asserts a quietly confident sense of elegance and poise. Ahi IV, by Star Gossage, 2006, featured in this issue. Photograph by Kallan MacLeod. Private collection. Reproduced courtesy of the artist and Tim Melville Gallery, Auckland. 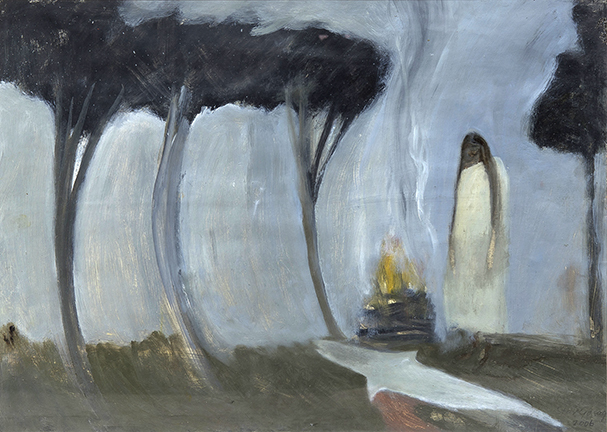 Birds With Skymirrors (2010). Photo by Sebastian Bolesch, featured in The Contemporary Pacific Vol. 28 No. 1. Concept, design, choreography, and direction by Lemi Ponifasio.